Marshmallow root is a mucilage, meaning it is known to produce a thick consistency to protect and coat membranes. The extract provides anti-inflammatory properties from its flavanoid content. In addition, the phagocytosis in marshmallow root extract have been proven to help slough away dead cell tissues within the skin. This helps make for great exfoliating and restoration component. 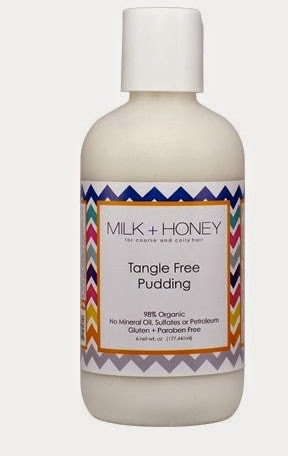 Here are the top 5 detanglers that will help you harness all the goodness of marshmallow root. After you get your hands on these detanglers, find a detangling method that's right for you. Check out this blog post for more deets. My advice? Try each detangling method (modify to your needs and schedule) and see which works best. How will you know which one is for you? Trust me, it'll be obvious-- excessive amounts of hair in the comb, hair blocking the shower drain, or tiny broken pieces on the sink, are all red flags. Natural hair care is trial and error! Do you use products that contain marshmallow?